The crown is formed from a series of interlinking silver buds that vary in size to convey the development of the Daffodil from bud to flower. 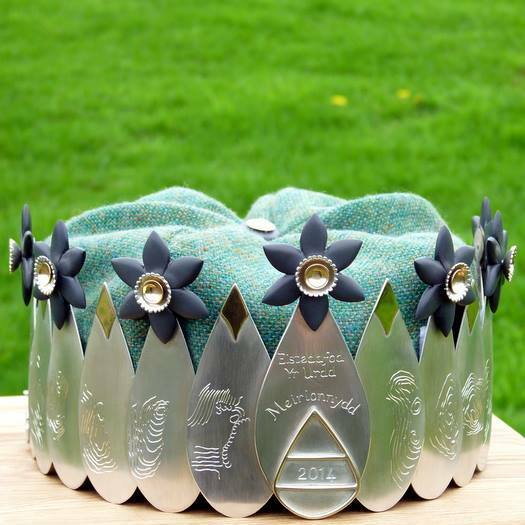 The front of the crown is adorned with daffodils made from slate, gold and silver. In addition, the contours of some of Meirionnydd’s mountains are etched on the silver whilst the use of green wool reflects the rural countryside. A button, crafted from slate, with gold and silver symbolises the summit.